Our weight loss drops help the body to release and mobilize excess fat your body is carrying to use as an energy or a food source. So when you go on a Very Low Calorie Diet, (VLCD) made famous by Dr Simeons’ research from the 1950s, our weight loss drops help make up the difference in the calories your body needs to function by metabolizing your stored fat as energy. We also include hoodia to help curb your appetite and maintain your energy levels. As a result, you will burn fat more quickly, and from areas that are typically harder to reduce. TRANSFORMATION WEIGHT LOSS DROPS are a proven, results driven weight loss supplement for the last 10 years with tens of thousands satisfied customers. 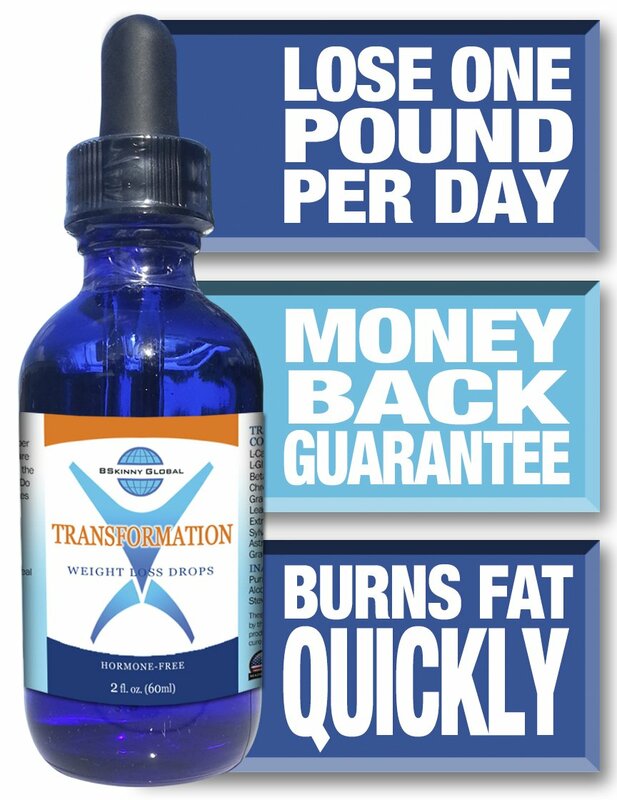 We are proud to offer guaranteed weight loss and our Transformation Drops are backed by a lifetime money back guarantee. Add to your cart now and begin YOUR path to a Healthier, Happier YOU!